This looks like it might be of some value, I have not read it but I have read his stuff in magazine articles for years. 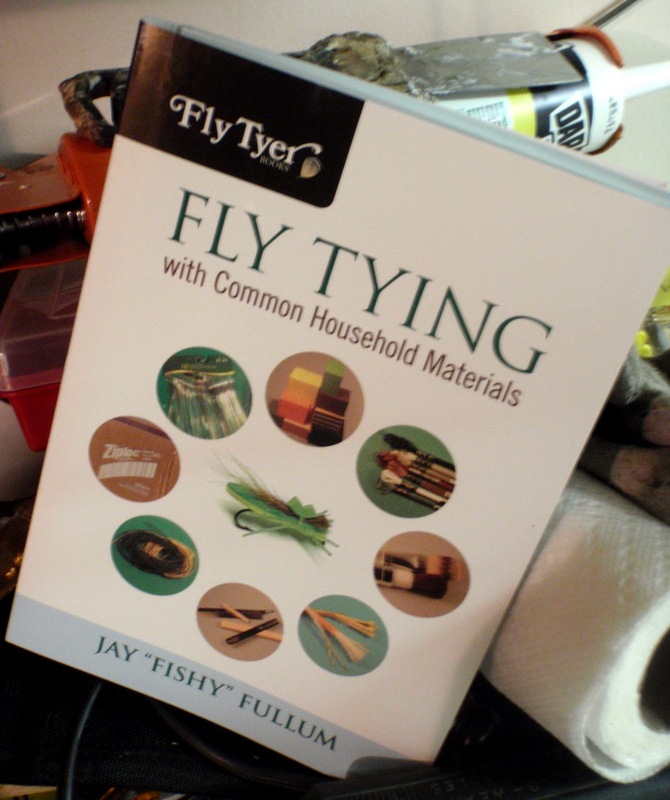 Seriously…this is a great addition to your fly tying book library. It will stand out amongst the more conventional tying how-tos. Jay Fullum goes into detail about some real cool (and cheap!) everyday materials you probably already have laying around down in the basement…you know, “organized” loosely on that unfinished wooden Home Depot shelving you got right after you moved in. Yeah, you know what I’m talking about. Jay has chapters on plastic bags, foam packing material, weatherseal, embroidery floss, fake fingernails, paintbrushes and hair brushes. Lots of stuff. I love it. But, the thing I may love the most about this book is what this book can do emotionally to a beginning tyer. It erases this notion that a good fly has to be made with very specific ingredients. These are not tiny magic spells we are creating on a hook shank…they are tools of the sport of fishing. That is all. And you can use whatever works for you at the time. So, yeah…order a copy. Lyons Press $21.95 Click Here!